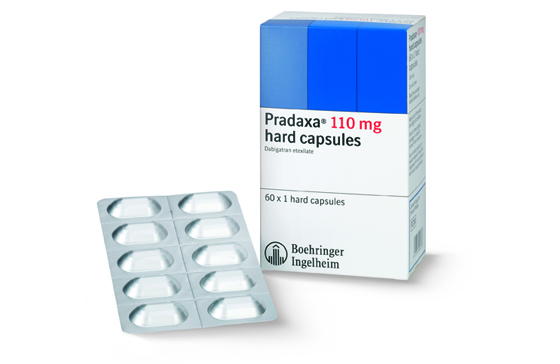 European regulators have given their backing to Boehringer Ingelheim's Pradaxa (dabigatran), but want patients and prescribers to be given clearer guidance on the anticoagulant's benefit-risk information. Bleeding is a well-known complication of all anticoagulant medicines and the European Medicines Agency (EMA) has consequently been monitoring the drug closely since its initial approval. Concluding its latest review of the drug the EMA said today it wants doctors and patients to be given clearer guidance on how to reduce and manage the risk of bleeding associated with Pradaxa. The regulator said its data analysis confirmed Pradaxa's “positive benefit-risk balance” but said modifications were needed to make the product information clearer. The EMA's scientific advisory committee, the CHMP, assessed all available data on the drug, including post-marketing surveillance reports, and the risk of serious or fatal bleedings. They found that the frequency of occurrence of fatal bleedings with Pradaxa seen in post-marketing data was significantly lower than that observed in the clinical trials that supported the authorisation of the medicine. Nevertheless, they said the issue should still be kept under close surveillance. This follows an earlier review of the drug that concluded in November 2011 that the Pradaxa's association with more than 250 patients deaths had to be seen in context. That review did however tighten up Pradaxa's prescribing a little, and said the drug should be used with caution, and at lower doses, in elderly patients and those with moderate renal impairment. The drug was first licensed in Europe in 2008 for patients undergoing hip or knee replacement surgery to prevent venous thromboembolic events. In August 2011 it gained an additional indication for the prevention of stroke in patients with atrial fibrillation (AF) at risk of stroke. The next step is for the European Commission to make its decision on the latest EMA recommendations and this, the regulator said, will be issued “in due course”.